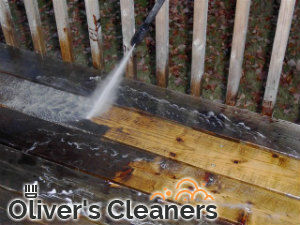 Our company offers efficient and sensibly priced jet washing services for the area of Hampstead NW3. What makes us so popular is the top quality we deliver and the lack of any misunderstandings and hidden fees that go along with the service. When you book a jet washing service, you get exactly what you pay for – top quality and professionalism. We are available for you seven days a week and we are prepared to carry out the service at a time that fits your busy schedule. If you need someone to give you a hand with the restoration of the ideal condition of the exterior, all you have to do is to contact us and check the availability of our cleaning teams in Hampstead. They have already completed a vast number of jet washing services in the area and all our customers were glad with the achieved results. We take pride in equipping our cleaners with the most powerful rotary jet washers. Apart from controlling overspraying, they also minimize the risk of damaging the treated surface. Our machines are powerful enough to lift all accumulated dirt without any harsh chemicals, which makes them an eco-friendly cleaning solution for open air spaces. We serve both homes and commercial properties, located in NW3 London. 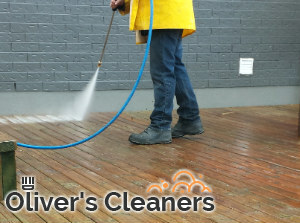 It does not matter if you need a small jet washing job such as a chewing gum removal, or you need the entire exterior thoroughly cleaned, you can count on our assistance. All you need to do in order to arrange us is to get in touch with our operators and make a booking. No contracts or pay per visit charges. Our operators will gladly answer your questions, provide you with an instant free quote and lead you through the booking procedure.